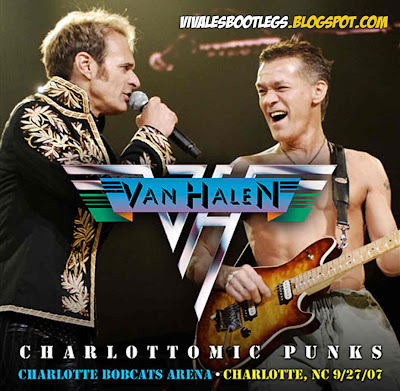 Recorded Live at Charlotte Bobcats Arena, Charlotte, NC, USA - September 27, 2007. Excellent Audience Recording :: Lossless FLAC. Files: 26.:: Size: 947 MB (flac). Personnel: David Lee Roth - lead vocals :: Eddie Van Halen - guitar, keyboards, backing vocals :: Wolfgang Van Halen - bass guitar, backing vocals :: Alex Van Halen - drums, percussion. Notes: Audience Recording SQ: A - This is the COMPLETE show. Dunno who was the original taper, anyway BIG thanks to him. The recording is great and sounds AMAZING, it worths a lot to download it!.